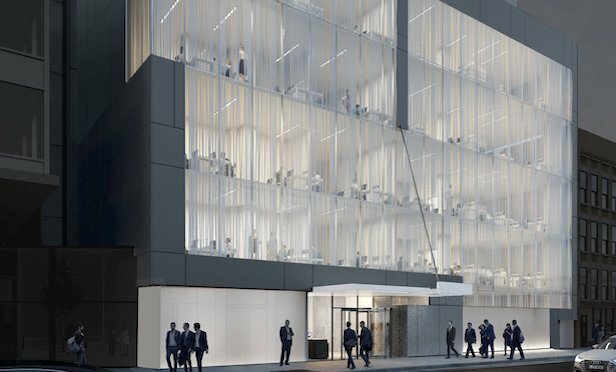 NEW YORK – LaSalle Investment Management (“LaSalle”) and William Macklowe Company (“WMC”) announced that they have completed a long-term lease agreement with Memorial Sloan Kettering for 100% of the approximately 75,000 square feet of space at 333 E. 61st Street, a new six-story medical office building located in Manhattan’s Upper East Side. In March of 2018, LaSalle acquired a majority interest in the property through a joint venture with WMC on behalf of its U.S. core open-end real estate fund, LaSalle Property Fund (“LPF”). Situated in what is commonly referred to as “Hospital Row,” the immediate trade area contains some of the world’s most prestigious hospitals, medical schools, research centers and outpatient facilities, including New York-Presbyterian Weill Cornell Medical Center, Weill Cornell Medical College, Memorial Sloan Kettering Cancer Center, Hospital for Special Surgery and Rockefeller University. The new 75,000-square-foot medical facility will replace the existing structure, and meet the area’s strong demand for purpose-built clinical, research and administrative space. Since 2001, LaSalle has completed over 90 medical office building investments, representing 6.5 million square feet and a GAV of $2.25 billion, across three dedicated MOB funds, as well investments in its diversified commingled funds and separate accounts. LPF invests in and manages a diversified portfolio of high quality, stabilized real estate and real estate-related assets in the industrial, multifamily, office and retail sectors in top markets across the United States. Drawing from LaSalle Investment Management, Inc.’s 35-year record of accomplishment of core real estate investment on behalf of sophisticated institutional investors, LPF aims to provide attractive risk-adjusted income returns with the potential for superior long-term capital growth through an investment process and platform that leverages LaSalle’s industry-leading market research. William Macklowe Company (WMC) is a privately owned, vertically integrated real estate investment platform focused on high quality assets and value creation lead by William Macklowe. WMC, and its principal’s activity at its predecessor firm, have accounted for over $15 billion in real estate transactions as a prolific owner, manager, acquirer and developer of prime Manhattan properties over the past 20 years. LaSalle Investment Management is one of the world’s leading real estate investment managers. On a global basis, LaSalle and its investment advisory affiliates manages over $65 billion of assets under management in private and public real estate property and debt investments. LaSalle’s diverse client base includes public and private pension funds, insurance companies, governments, corporations, endowments and private individuals from across the globe. LaSalle sponsors a complete range of investment vehicles including separate accounts, open- and closed-end funds, public securities and entity-level investments. For more information please visit http://www.lasalle.com.